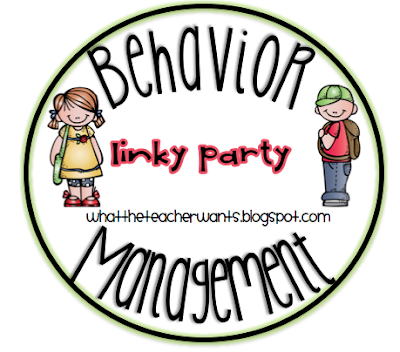 Blog Hoppin': Behavior Management Ideas!!! I know we all have a lot of different ways that we manage behavior in our classroom. Natalie and I are hosting a linky party to share those ideas! Come and join in on the fun. Our favorite 3 ideas will be featured on our blog next week!!!! Come on over to What the Teacher Wants!